Image Size: 24 X 19 in. 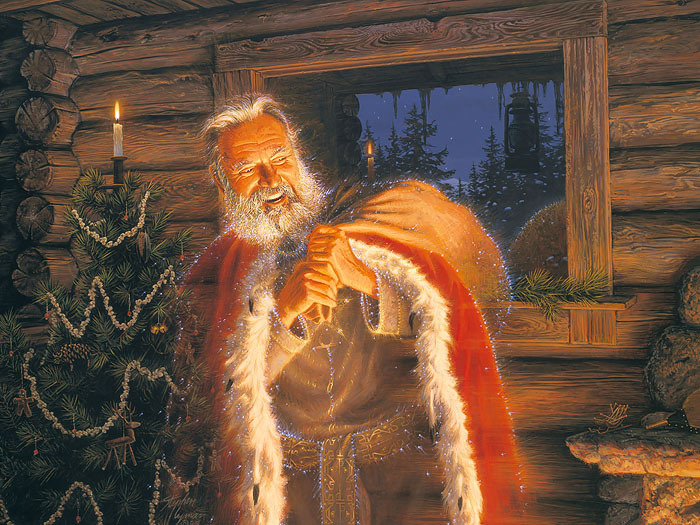 Glowing with good feeling, energy and the real, honest love of giving, Stephen Lyman’s St. Nicholas is the literal Spirit of Christmas. So much of Lyman’s work had to with the ethereal qualities of light in the wilderness that he was excited by the challenge of painting a person whose very presence was the embodiment of light.